Save BIG on a fun family getaway to Sesame Place! Sesame Street® is celebrating 50 years and counting, and there's no better place to show your support than at the nation’s only theme park based entirely on Sesame Street! Join the party all season long with whirling rides, splashy water slides and the new Neighborhood Parade. The fun never stops at Sesame Place®—go before they growTM. 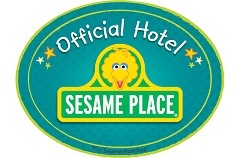 Radisson Hotel Philadelphia Northeast is proud to be an official hotel partner with Sesame Place Park. If you are planning a visit to Sesame Place in 2019, we have made it easy for you to reserve all the latest packages that Sesame Place has to offer. To learn more and reserve these special packages, click on the link below and reserve your package of hotel stay, tickets and other amenities available to make your 2019 Sesame Place vacation memorable. 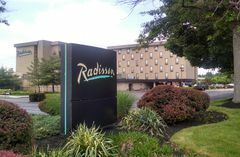 *The outdoor pool is open seasonally, and the cabana is available seasonally/weather permitting. When you stay with us during the summer, be sure to check out our daily/nightly summer activities from June 10th through Labor Day. Reserve your 2019 Sesame Package!